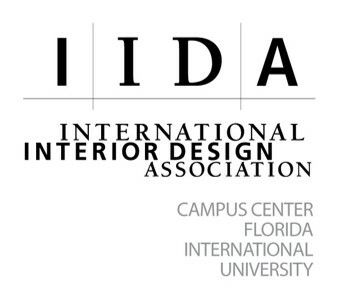 Please visit the IIDA FIU Campus Center on Facebook and Instagram. 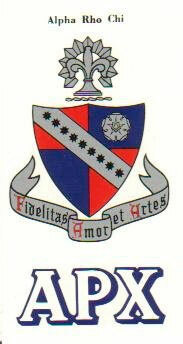 Coed, professional fraternity available to anyone in any field of the allied arts. Find out more information on their website, http://www.alpharhochi.org. Membership is acquired through the traditional fraternity template, rush, pledge, initiation. Alpha Rho Chi is a brotherhood, we work very closely together and recently we have emerged as a strong force in the School of Architecture. They also have a national chapter Facebook. Established at Florida International University on July 11, 2004. 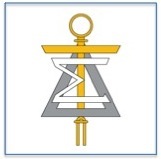 Tau Sigma Delta was founded in 1913 at the University of Michigan to celebrate achievement in the design disciplines. At the Florida International University School of Architecture, invitation and induction to Tau Sigma Delta honor the academic accomplishments of students who are in the final two years of their professional studies, and whose academic records place them in the top 10% of their respective programs. Thirty-four students became the newest members of the honor society in a ceremony that celebrated the inductees, their families, friends and faculty. Contact Professor Marilys Nepomechie for more information on this organization: nepomech@fiu.edu. For more information, visit the National Organization of Minority Architects at www.noma.net, and visit the NOMAS-FIU Chapter on Facebook and Twitter. To promote excellence in architecture education, training and practice. We celebrate our membership in several ways. Members of the AIAS have the opportunity to have their work published in CRIT, Journal of the AIAS the only international journal devoted to the work and critical thoughts of architecture students. The American Institute of Architecture Students (AIAS) is a club/organization for Architecture, Interior Architecture, and Landscape Architecture students. Find more information on their website, aias.org. The AIAS FIU Chapter is a non-profit, student run organization that focuses on promoting excellence in architecture education, training and practice. Check out their Facebook for updates and event information.